Pre race nerves are nothing new, any competitor, will be accustomed to that unsettled feeling in their stomach, a sleepless night, followed by a morning of nervous energy… A forecast that showed unsettled weather for the final classic of the season; Il Lombardia only accentuated this feeling. Mild temperatures and aggressive racing ahead led many of the riders to choose the Fiandre Light No-Rain Short-Sleeve – a piece that would ward off showers whilst offering excellent breathability, packing down into a jersey pocket, avoiding the wasted energy of going back to the team car. The riders soon assembled on the start line; we would see them roll out in a tourist like manner, the next time we saw them (with 100km’s to go) the peloton would be fully lined out, riders sprinting to hold the wheel in front, the reality of pro bike racing…. We would watch the race for the 3rd and final time on the Muro di Sormano, a viciously difficult climb that would test all who raced up it before running into the bar to catch the finale on TV… An exciting finish and a deserved win by Nibali would round out the race. 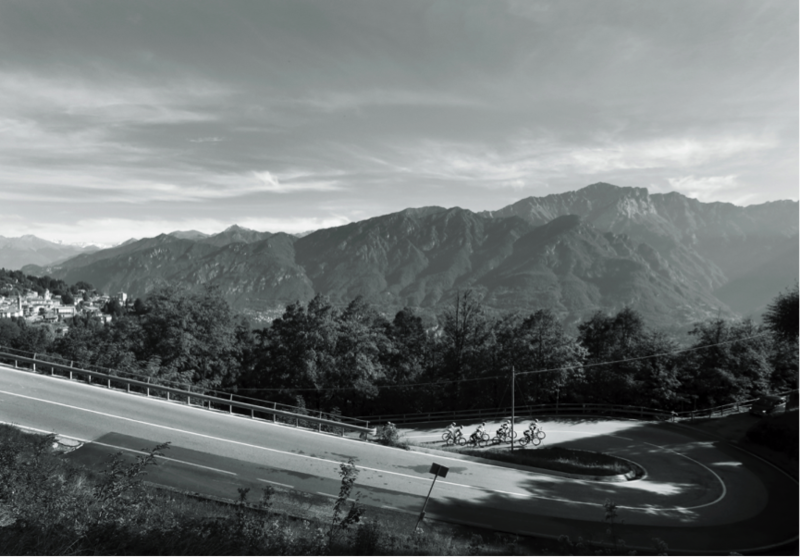 RAFAL MAJKA – Having shown his undisputable class with a 2nd place at Milan-Turin, just a couple of days earlier; jet lag and a long season would eventually put him out of contention despite a strong showing on the Muro di Sormano. We were welcomed by cool but sunny conditions, like the pro’s we all favored the Fiandre Light No-Rain Short-Sleeve. The piece is as adept in dry conditions as it is drizzly wet weather and perfect for the ever-warming temperature. 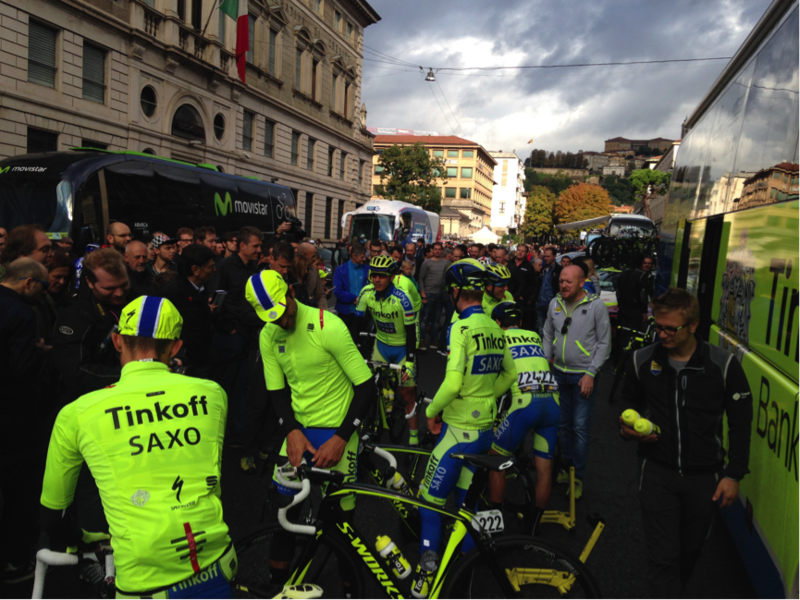 Rolling out on team issue bikes with team car following, Ivan Basso and Sergio Paulinho lead the way. 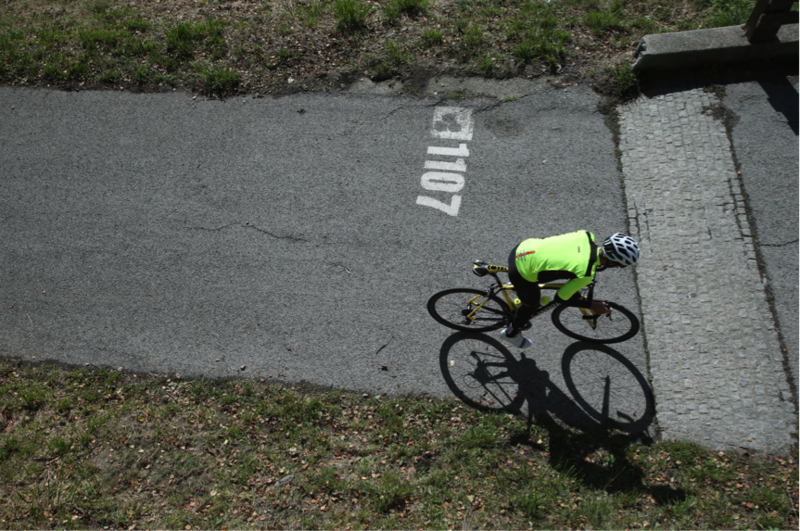 A low intensity recovery ride for Sergio; who favored the new Fiandre Extreme Neoshell Jacket. Pietro Illariette on the right looking sharp! 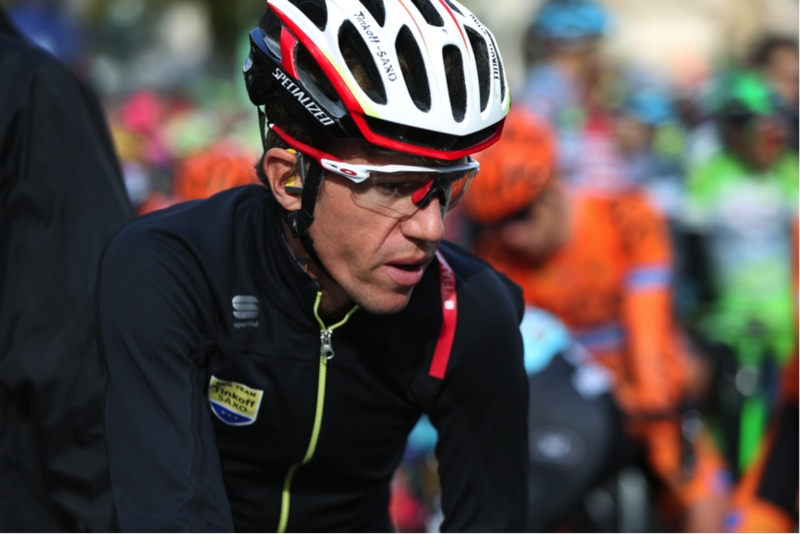 Kreuziger and Paulinho set a steady tempo on the Maddona del Ghisallo. Dave Arthur (road.cc) & Rozanne Laura Slik (Wielrenblad) making full use of their super domestiques! Frederik Backelandt (Grinta) on the upper slopes of the Muro di Sormano. Looking comfortable, highlighting his good form and the excellent breathability of the Fiandre Light No-Rain Short-Sleeve. Any pre-ride apprehension was to put to rest, the pro’s were on an easy day, a steady pace was set, that enabled us to chat and enjoy the scenery. This entry was posted in Cycling and tagged fiandre, Giro di Lombardia, ivan basso, Madonna del Ghisallo, Muro di Sormano, paolo bettini, rafal majka, Roman Kreuziger, Sergio Paulinho, sportful, tinkoff. Bookmark the permalink.